And yes, I did see the islands of Matsushima the second time around. The skies were clear. I listened to the guide explaining the splendid sights. The tourists around me didn’t seem to be paying much attention to what she said. Well, well, I thought, Japan has changed. Then I realized they were all Chinese. Having read it i have no idea if the books being reviewed are any good, and will have to resort to buying them to find out. That said, i have a great deal of sympathy with the tone of said diatribe, and recommend reading it. Do let me know if you’ve come across either of the books, and can make a case for them being purchased / avoided. In theory i’ve had my fill of westerners having a japanese navel gaze. Really not sure what is going on in England. Don’t people have anything more pressing to worry about? A majority want to leave the EU, and then what do they want to do? Solider on in magnificent isolation, getting increasingly sniffy that the rest of Europe doesn’t feel like letting them benefit from the open market without burdening themselves with any of its responsiblities, presumably. As M. pointed out to me in response to my bemoaning the short-sightedness of little england, it wasn’t long ago that something like 75% also said that they had considered emigrating. Admittedly they’re mostly wanting to go to Australia for the weather. But then a year later… Many no doubt would also say they want to go to get away from the “flood of immigration”. 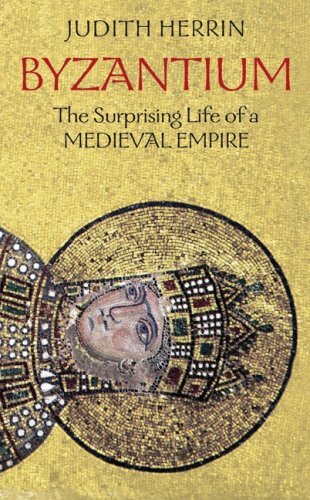 Didn’t know very much about Byzantium. Now i’ve read a book about it and know a few things.